Discover Colombia’s top wilderness destinations with adventures of a lifetime: hiking through the majestic Andean mountain range of Cocuy National Park and rafting Colombia’s Grand Canyon, the Chicamocha River. You’ll be received at Bogotá’s El Dorado International Airport before being transferred to your hotel located in the historic center of the city. Enjoy free time to begin exploring the Andean capital with recommendations from your guide. Discover Bogotá’s renowned gastronomy scene with many restaurants within walking distance from your hotel, based in the hip Candelaria neighborhood that is experiencing a revival from its colonial roots to an artistic future. Depending on your flight arrival time, meet a bilingual guide for a unique city tour of Bogotá. After an early breakfast at your hotel, your guide will meet you to begin a scenic drive through Bogota’s countryside to the town of El Cocuy (8 hours). Sample regional cuisine with a lunch break at the picturesque town of El Paz del Rio. 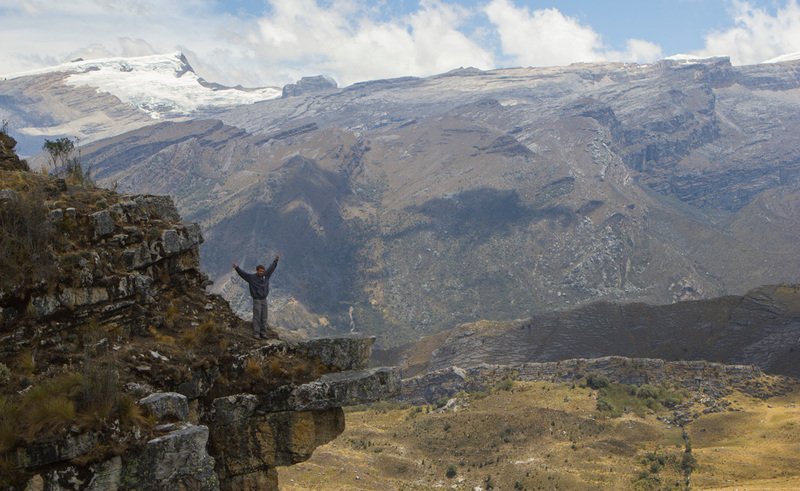 Stop along the way for photographic views of the Andean mountain range. 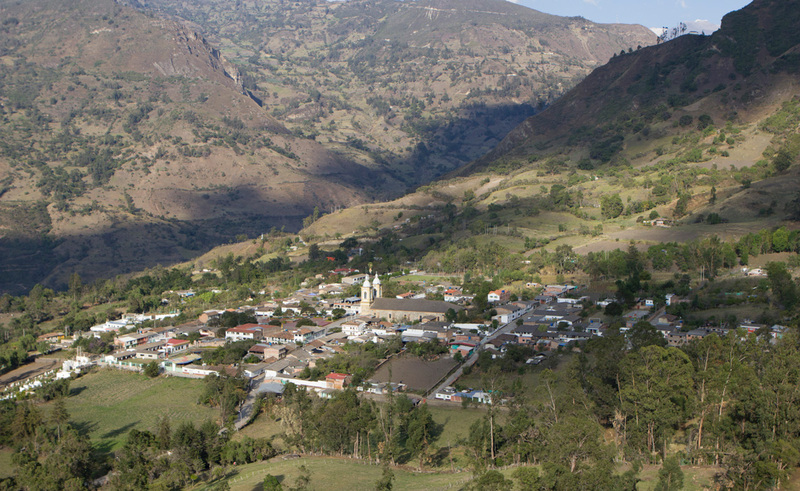 In the afternoon, visit the town of El Cocuy before driving 40 minutes to your high-altitude mountain lodge located at the border of Parque Natural Nacional del Cocuy (PNNC). Stay overnight in comfortable lodging at the trailhead of PNNC. After a typical Colombian mountaineer’s breakfast, begin a day hike that starts only a few steps away from your breakfast table. Journey through the Sierra Nevada wilderness section of the park that accounts for merely 12% of the 1,000 square miles of terrain and 15,000 vertical feet within Cocuy National Park. Take a puma’s walking trail to look out for condors soaring around the snow caps of the Campanillas and the ice-carved granite face of El Púlpito del Diablo, the Devil’s Pulpit. Walk through fields of 15-foot-tall plants called Frailejones because they are thought to resemble hooded monks in silhouette. Learn from your guide about how the U’Wa indigenous cultures, whose reservations make up half the park’s domain, that include some of the 700 species of endemic flora in Cocuy. Return to your mountain lodge for dinner and a restful night in comfortable beds. 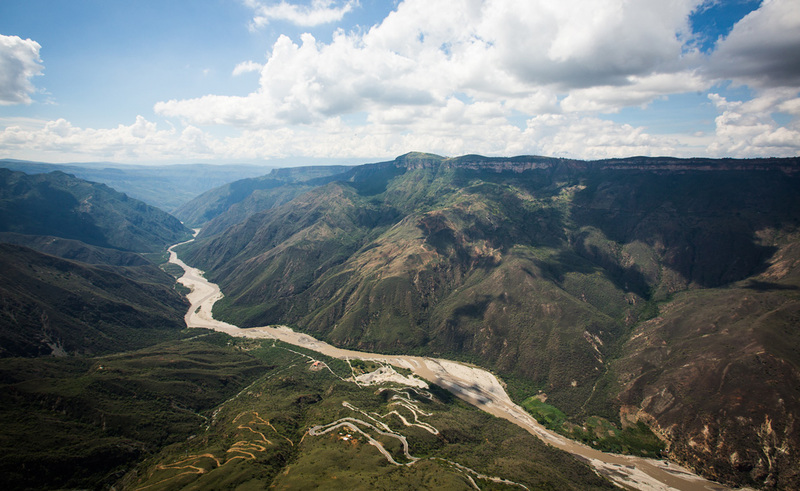 After breakfast at your mountain lodge, begin a 3 hour drive to the put-in of the Chicamocha River beside the small town of Capitanero. If you’re feeling extra active, replace the drive with an advanced guided mountain bike ride. Otherwise, enjoy a scenic drive through an array of landscapes– from mountains to sculpted river valleys and desert. Meet your river guides at the Capitanejo bridge for a lunch alongside the river. 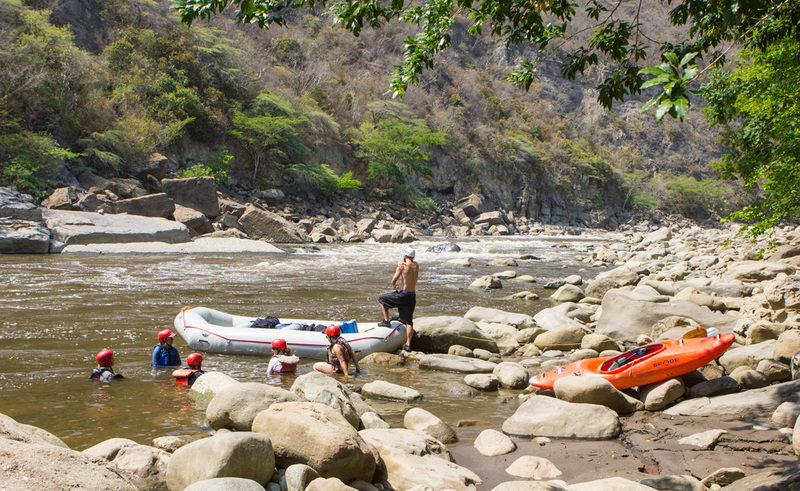 After lunch, begin an adventurous afternoon of rafting on first whitewater section of the Chicamocha River (Class 3-4). Enjoy swimming downstream in the flatwater sections of the river to keep refreshed and cool (the average temperature of this desert canyon is 84.2 F to 104 °F, depending on the season). Set up camp on the riverside and enjoy a hearty fireside meal while relaxing on the beach and listening to the sounds of the water. Camp overnight in the typical Colombian style, sheltered hammocks. After a campfire breakfast, paddle for three hours on intermediate whitewater (Class 3 to 4). and was nominated as a possible candidate to be named the 7 natural wonders of the world. 227 kilometers in length. Its river charges through 264 hectares of national park. by night. Enjoy hearty fireside meals and a relaxing ambience by a campfire under the stars. 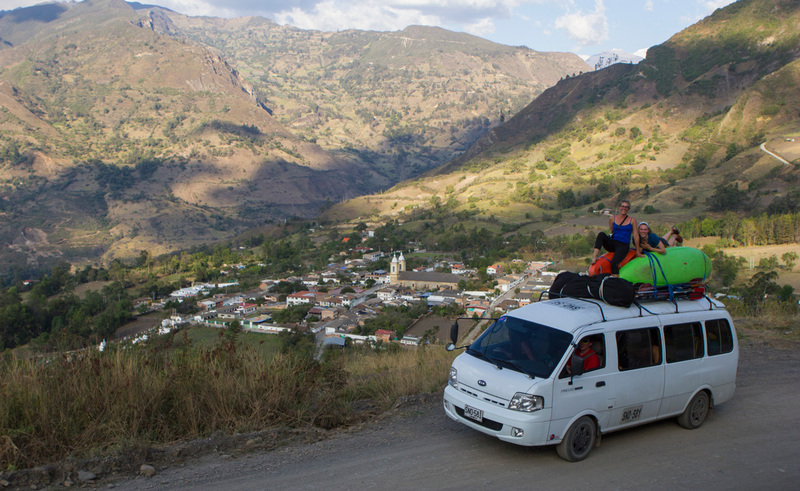 After breakfast, begin a multi-sport adventure as you begin rafting through Chicamocha National Park until you reach the Pescadora Bridge. Continue rafting with your guides, or meet your paragliding instructor for a 20 minute tandem flight over the rim of the Chicamocha canyon. As you fly, soak up incredible vistas of the awe-inspiring gorge. 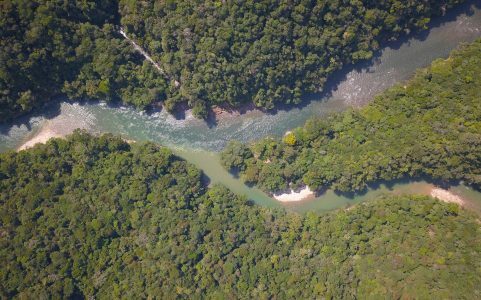 Enjoy a bird’s eye view of the river as you descend into the canyon to land on a wide beach on the river where your raft crew will meet you to continue on the river. Set up a riverside camp and enjoy a night under the stars close to the historic town of Jordan. Today, drive 2 hours from the small town of Jordan to discover the historic town of Barichara, declared “prettiest village” with a dedicated national monument in the 1970 s by the Colombian government. In Barichara, shop for artisanal crafts, meet the friendly town locals, and try the town’s famous yuca empanada and carne oreada, sun-dried steak. Stroll leisurely through the colonial, clay-colored stone streets that belong to the Colombian People’s Heritage Network. Enjoy a traditional lunch in the tree-lined plaza and admire the packed- earth whitewashed walls of the houses with terracotta roofs and wooden balconies. Stay overnight in a high-end boutique colonial style hotel. After a delicious breakfast at your hotel in Barichara, drive to Bogota (5 hours), with stops along the way for lunch and town visits. Upon arrival to your hotel, located in the Candelaria neighborhood of Bogota, unwind from the day with a relaxing massage or visit a resident art gallery. We highly suggest a last celebratory evening at Gaira Café, a renowned restaurant and music venue, founded by one of Colombia’s most beloved musicians, Carlos Vives. We say goodbye today. After breakfast at your hotel, enjoy a free morning in Bogota before an airport drop-off to El Dorado International Airport (30 minute drive from your hotel). Thank you for visiting! Extend your trip by 1 day and 1 night to stay in the adventure town of San Gil. On Day 8, drive 30 minutes from Barichara to San Gil for an active day hiking, mountain biking, rappelling, or rock climbing with an adventure guide. That night, stay in a boutique hotel close to the hanging moss sanctuary of Parque El Gallineral in San Gil. On Day 9, drive from San Gil to Bogotá (5 hours) to depart from Bogota’s El Dorado International Airport on Day 9 or 10 (depending on flight availability). Extend your trip by 1 day and 1 night to stay in Las Mesas de los Santos, the indigenous territory of the Chibcha, the Muiscas, and the Guanes. On Day 8, drive 2 ½ hours from Barichara to go on a guided hiking, mountain biking, or rock climbing adventure tour in Mesa los Santos. That night, stay in a traditional Spanish-style hacienda in Mesa los Santos and enjoy Colombian meals prepared by the estate’s chef and the town’s high-quality organic coffee. Several moderate physical activities raise your heart beat on this trip. 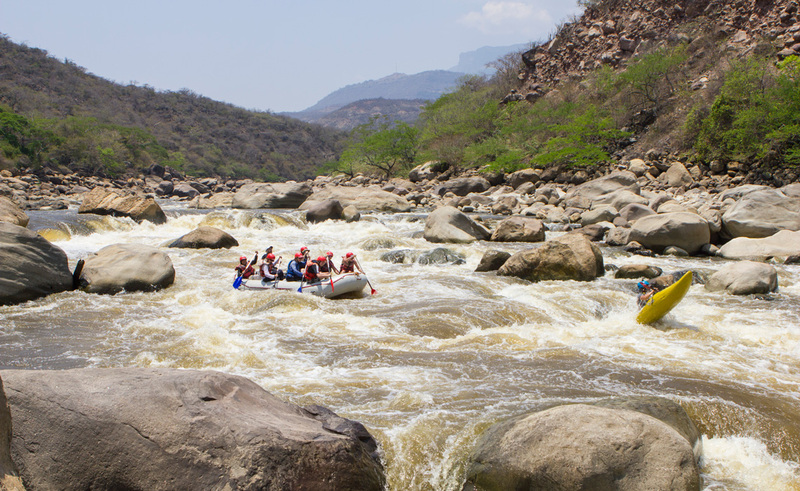 Whitewater rafting is a full body activity that may require swimming in fast moving water. A good level of physical fitness is required. We believe every traveler is unique and deserves personalized experiences. Please reach out for your a price based on hotel accommodation and group size. Want even more comfort & attention? Ask for our luxury options.